Qingdao Longyun Tengda Protection Products Co., Ltd.
6. What is the quality guarantee time9 All our products are offered 6-month quality warranty after receiving. If the shoes are broken within 6 months, please contact our salesman, and we will send you new shoes without any payment. If you have any other payment requirements, please contact our online salesman directly. Tianjin Yaoshun Manufacture Shoes Co., Ltd.
Qingdao D&H Footwear Co., Ltd.
Shishi Chengzheng Trading Co., Ltd. Since 1976 we are entrusted to provide footwear for soldiers, law enforcement and governor institutions. It is our honor and passion to create footwear that meets the need of our customers with care and enthusiasm. With this belief in mind, we strive to ensure that each of our products is durable and comfortable as to give the confidence our heroes need in action. Hainan Xinxing Import And Export Co., Ltd.
Quick response and strict quality control in the whole process of order. 1.How long of the production lead-time9 Usually 30-40 days after the sample and order is confirmed. 2.Which term of Payment do you accept9 T/T, L/C, Western Union 3.How much of your export revenue9 More than 10 million US dollar. China Xinxing Tianjin Import & Export Co., Ltd.
We are the only military supply import and export corporation authorized by People's Republic of China under the management of China Xinxing (Group) Corporation, a big enterprise group owned by the whole people of People's Republic of China. Our business ranges from the import and export of military supplies and logistic equipment, textiles, garments, foodstuffs and light industry products. Our products have been exported to dozens of countries and regions throughout the world and gained good reputation and trust form our clients. 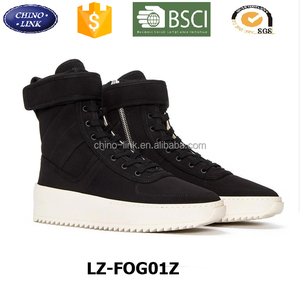 Yancheng Zhongdun Shoes Manufacturing Co., Ltd.
Wuhan Chuangshijia Trading Co., Ltd.
2.Factory directly and we will give you the wholesale price. 1-3 days working for the stock product. 12-25 days working for the order. Guangzhou SIVI Outdoor Products Co., Ltd. This fabric is a elegant, first class quality top coat of cowhide fabric. * This freshfirst class quality top coat of cowhide fabric is perfect for hiking, camping and so on . , Ltd is a manufacturer of outdoor products with well-equipped testing facilities and strong technical force. Also our company is one of concentrated industrial & trading, which is mainly engaged in the export of footwear products. 4. Best service: Professional international sales team to make business easier, to solve all your problems promptly. 5. Reasonable price We are always making reasonable machining processes and using advanced machine to help save cost for ourselves and our clients. 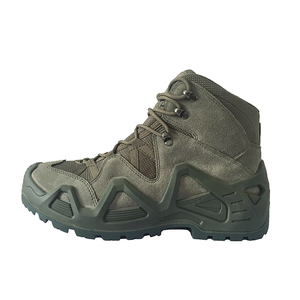 Jihua 3513 Industry Co., Ltd.
We are a professional manufacturer of all kinds of army shoes series, military boots and tactical boots. If you have any other payment requirements, please leave massage or contact with us directly. 4. Question: What is the quality guarantee time9 - All our products are offered 6 month quality guarantee after shipping . 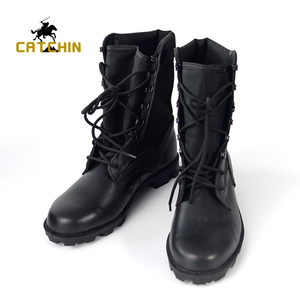 Quanzhou Hua Guo Trade Co., Ltd.
Xiamen Sunshiny Footwear Co., Ltd.
Alibaba.com offers 12,423 genuine leather military boots products. About 58% of these are men's boots, 19% are other police & military supplies, and 1% are women's boots. A wide variety of genuine leather military boots options are available to you, such as free samples, paid samples. 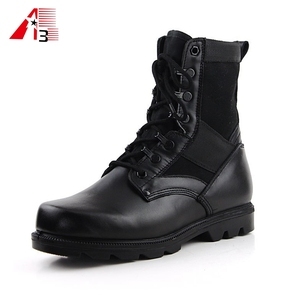 There are 12,384 genuine leather military boots suppliers, mainly located in Asia. The top supplying countries are China (Mainland), Pakistan, and India, which supply 95%, 2%, and 1% of genuine leather military boots respectively. 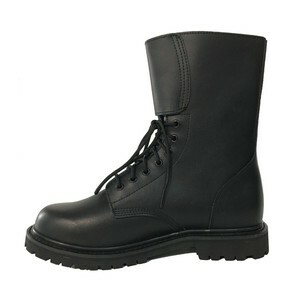 Genuine leather military boots products are most popular in Mid East, Africa, and Eastern Asia. You can ensure product safety by selecting from certified suppliers, including 1,656 with ISO9001, 770 with Other, and 224 with ISO14001 certification.